Juicy Wiggle’ is the latest track from the larger than life, cheebra wearing, party rocking, Redfoo. This toe-tapping tune with a juicy twist, was inspired by a dance originally created in the Melbourne Bounce scene. Spun with signature Redfoo style and flair, it’s a unique mix of uptempo dance beats, teamed with an unmistakable sound that is synonymous with the swingin’ 60’s. Whether you’re 3 or 103, this infectious party track will have everyone movin’ and groovin’. 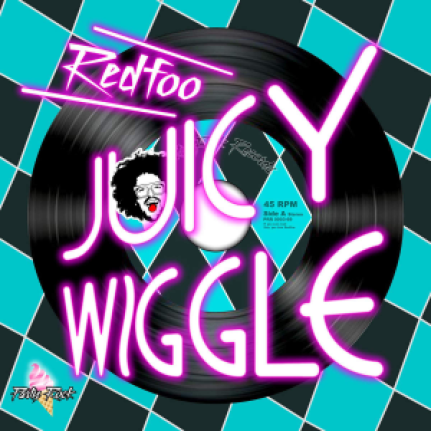 Following the huge success of Redfoo’s New Thang and Let’s Get Ridiculous, Australia will be the first in the world to do the, ‘Juicy Wiggle’ before it is released globally on Redfoo’s independent label, Party Rock Records. The colorful music video will be shot in Los Angeles in February and serviced later that month. Redfoo has engaged the super talented Australian creative team, The Squared Division. The treatment features a multitude of dancers, trumpet players, a flying zebra printed grand piano and a talking Dalmatian dog. We kid you not, but is it that strange coming from Mr Party ? We says its just a day in the life really! Check out the new single below, read our interview here and grab your on iTunes now..!